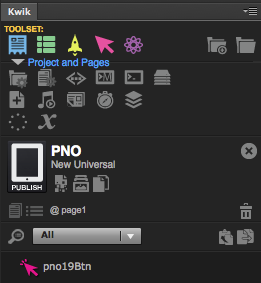 Last week, Kwiksher released their latest version of Kwik Photoshop plugin. I was fortunate enough to be part of the beta testing, and helped CEO Alex Souza discover some of the bugs before the final version was released. I was even able to release Maddie Bear’s Birthday for the iPad using the beta version of Kwik. Kwik now is compatible with Corona SDK’s new storyboard tool called “Composer” as well as their new Graphics 2.0 anchor point system. It offers a revamped interface and a plethora of new features and settings that were not available in previous versions. You can now add monetization with iAds and AdMob, splash screens, in-app purchases if you’re a Corona Basic, Pro or Enterprise subscriber, and you no longer have to deal with the annoying task of enabling Adobe Flash to run the plugin. Kwik has also switched over to a subscription business model to allow for more updates in order to keep up with the ever changing world of mobile app development. When Apple or Android make a change to their operating systems, Corona Labs has to follow suit, which in turn makes Kwiksher have to follow their lead. There is also another huge benefit to their new subscription model. Let’s say you have an idea for a storybook app, but you’re not ready to make a huge investment in software in case your app doesn’t make you a lot of money or in case you just don’t end up liking app development. You can download the Corona Lab’s Starter Kit for free and then just do a 3, 6, or 12 month subscription to Kwik, depending on how long you’ll need it. You can also have your script reviewed, have video chat support, and pretty soon, Kwiksher can even publish your app to all of the major app store for you via their services program. My latest book, Maddie Bear’s Birthday, would have taken much, much longer to develop had I not used Kwik. It saved me days worth of coding. Check out my app at MaddieBearBooks.com to see what is possible with Kwik. I recently obtained a license for Spine, software that makes it easier to get fluid animations into mobile applications, and wanted to see how well it would integrate into Corona SDK. The first thing I did was quickly draw a character that almost resembled a zombie, if it weren’t drawn so poorly in Photoshop. I put each body part on its own layer. I then ran the script to export each layer as its own .png file. I started a new Spine project and imported the artwork. I then created a skeleton and attached each piece of artwork to the different bones. 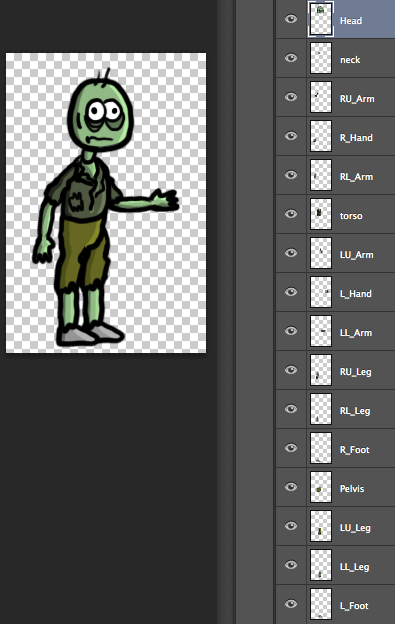 By selecting the bones, I was able to move and rotate the zombie’s limbs to animate him on a timeline. I exported the animation as a .json file. 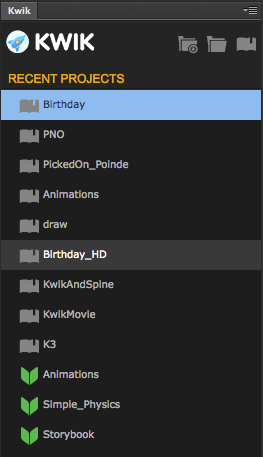 This is what makes Spine useful. 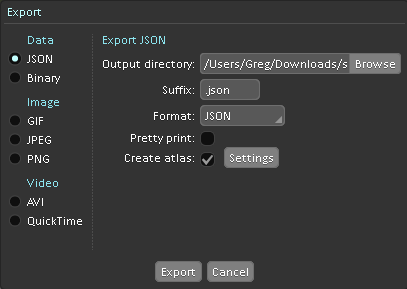 It allows you to animate easily and also keep the file size very low since the .json file controls the animation. This saves you from having to export hundreds of sprites and program them into your app. Instead, you just export the artwork of each body part and a .json file. Once I had my .json file, I used the Corona Runtime provided by Esoteric Software and altered the main.lua file to import my zombie. I opened the main.lua file in the Corona SDK Simulator and there was my zombie walking on the screen. I haven’t read through any of the documentation on Esoteric Software’s website nor have I watched too many of the videos, so I may have done some of the steps incorrectly. 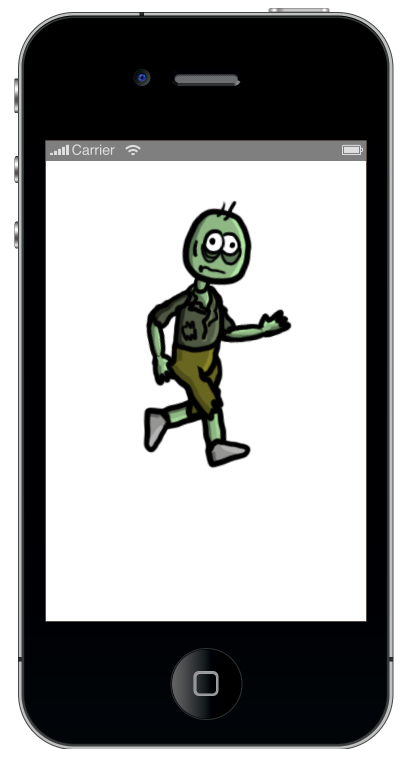 However, just in 20 minutes of playing around with Spine, I was able to create a working example of an animation in a app, not too bad. I recently had to delete numerous apps off of my iPad because my hard drive was getting full. I realized that even though I had tons of apps installed, I only used a handful of them on a regular basis (aside from the usual apps like Facebook, Twitter, Mail, Dropbox, Safari, Weather, etc.). I decided to create a list of the most useful apps I have in hopes that they’ll help you, too. 1.) Wunderlist – Free or Paid – (iOS, OSX, Android, Web browser) – This is one of my favorite apps to stay organized. You can create custom To-Do lists and share them with your friends and family. My wife and I use a shared grocery list, so as we think of things we need from the store, we can add them and we can both see the list update in real-time. I also use lists for daily to-do, work projects, personal projects and the like. It’s completely free to use, which is great for personal use, but if you’d like to use it for your business and need more features, there’s a Pro version available for $4.99 USD a month or $49.99 USD a year. 2.) oneSafe – Paid – (iOS, OSX) – oneSafe will run you $5.99 USD for the iOS version and $12.99 USD for the OSX version. While this sounds like a lot for an app, considering how great the software is, it’s actually a bargain. oneSafe securely stores all of your information such as credit cards, bank accounts, social security numbers, documents, pictures, license numbers and anything else you can think of. It has numerous options for secure access such as PIN, password, pattern, etc. and you can add double security on your data. There’s a self-destruct mode that you can enable in case your device gets stolen and the culprits fails to guess your passcode and security question answers. You might be wondering why you would bother storing your credit card number in an app on your phone when you’ve got your wallet on you as well. Say your wallet or purse gets stolen and you’ve got to cancel your credit cards. What phone numbers do you call? What was the credit card number on the card that was stolen? With oneSecure, you’ll have all of that information ready to go on your iOS device and Mac computer. Plus, it’s just great to have all of my usernames and passwords to my online accounts saved in one spot in case I forget them. 3.) DocuSign Ink – Free – (iOS, Android) – Anyone who does contract work will love this app. Even if you don’t do contract work, it’s still great to have on your mobile device. I first downloaded it when I bought my first house and had to sign and fax numerous forms. Using DocuSign Ink, you can open documents from your email, fill them out, digitally sign them, and email them back all without having to print, scan, or fax a single form. The only thing I had to pay for was to add a second person’s signature to a form, which I believe was a 99 cent in-app purchase, and it was well worth it. This is the easiest way I’ve found to quickly fill out and submit documents on my iPad. 4.) Remote File Browser – Free or Paid – (iOS Free, iOS Paid) – I downloaded this app because I wanted a free way to get to the files on the hard drive that I have hooked up to my AirPort Extreme. On your Mac, the hard drive will automatically appear. However, to view the hard drive and its files on an iOS device, you’ll need an app to do so. Remote File Browser allows you to view images, video and documents from your AirPort Extreme or AirPort Time Capsule devices. I only have experience with the free version, which comes with a banner ad, but it works just as advertised. 5.) System Status – Free or Paid – (iOS Free, iOS Paid) – For some reason, even on iOS 7, there’s no percentage marker on the battery life of your iPhone or iPad. Users are left to guess how much battery life remains by how full the battery icon is on the top. System Status (I have the Lite version) tells you what percentage of your battery remains, as well as your disk usage, CPU usage, connection stats, wifi information and cel phone information. It’s a handy app to have on hand if you’re at all curious what’s actually going on with your device. Let me start by saying there is always a time and a place for good old-fashioned Objective-C in Xcode and Java in Eclipse, that is why they are the standards for creating iOS and Android apps. However, coming from a front-end graphics background and using Macromedia/Adobe Flash for pretty much everything in my life, learning Objective-C was less than fun for me. That being said, here are my favorite pieces of software that actually made it fun to learn how to make mobile applications (in no particular order). 1.) Adobe Flash CS5/5.5/6 – Initially, this is how I got into mobile app development. Adobe added the ability to export AIR for Android and iOS, and all of a sudden your Flash projects could be native apps on your Android and iPhone. For me, it was an easy way to get my feet wet in the mobile app world. However, Flash is rarely the best software to use if you want to make a serious app, but it’s a great starting point. I still use it to draw a lot of my artwork. Pros – Great for Flash developers or anyone already familiar with AS3.0 ; Cons – Usually not the best choice for large apps or apps that require a lot of data. 2.) CoronaSDK (http://www.coronalabs.com) – Once I discovered CoronaSDK, I was instantly in love. 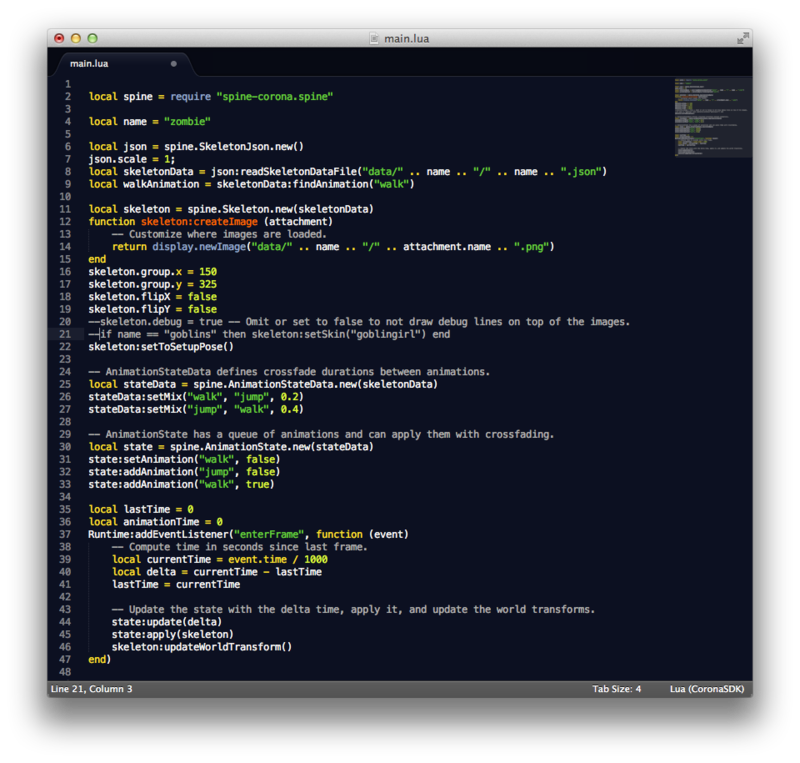 It uses Lua code, which is very similar to Flash’s ActionScript, but more simplistic. It uses a small fraction of the code that is required in Objective-C/Java and the CoronaSDK simulator will use one set of code to publish out to most devices. So if written properly, your one set of code can be published out for iPhone, iPad, Nook Color, Kindle Fire, and Android devices. Pros – Great for Flash developers, publishes out to most devices without having to code twice, only a basic text editor is required to write Lua code, easy to use ; Cons – The subscription price point might turn some people off to Corona. At $349 a year for the Pro Subscription, the average person might be hesitant to dive in unless they’re sure they can make that back in app sales, but there is a free trial to see if it meets your needs. 3.) Kwik Photoshop Plug-in (http://www.kwiksher.com/) – I created my first children’s iPad book in Xcode using Cocos2D and Objective-C. It took me 4 times as long to learn how to code it than it did to actually write and illustrate the book. Then I discovered Kwik, which works in conjunction with CoronaSDK, and instantly remade my book using that. Using Photoshop, you assemble each page of your book on layers, and then using Kwik, just tell each layer what you want it to do. No coding involved, no looking at thousands of lines of text, just Photoshop and a click of a mouse. Since it publishes out to CoronaSDK, you can publish your book out for multiple devices without having to recode it. Sounds too good to be true, but it’s not. Also, Kwik 2.0, dubbed “K2”, is scheduled to debut in the near future, and it pretty much takes what Kwik did, but makes it even more awesome with a plethora of new features. Pros – Great for people who know how to arrange layers in Photoshop, great for anyone with an idea for an eBook, easy to use, good online support ; Cons – Requires that you already own Photoshop and a CoronaSDK subscription. 5.) TexturePacker & PhysicsEditor (http://www.codeandweb.com/) – If only there was an easy way to convert artwork into animated sprites with physics applied to them. That’s where TexturePacker and PhysicsEditor come into play. Import your artwork into TexturePacker and it’ll make a spritesheet for you that is ready to use in Corona, Starling, Cocos2D, JSON, etc. Artwork that you need physics applied to can be rendered in PhysicsEditor and it will even trace the shapes for you, regardless of the complexity. The software is constantly being updated with new betas available to add new features (Kwik 2.0 image sheet anyone?) and it’s easy to use. 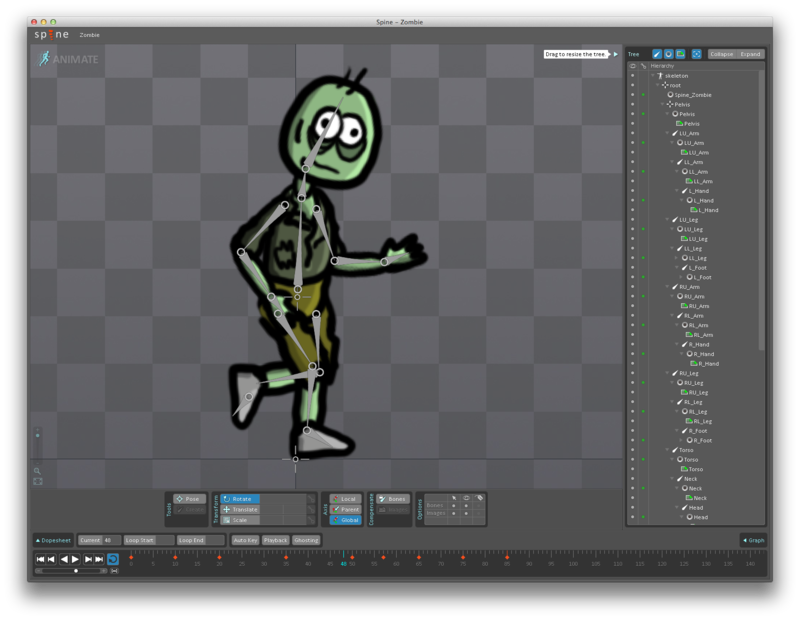 Pros – Easy to use, exports for many platforms, auto-traces shapes, new updates, option to buy separately or together ; Cons – There are a lot of spritesheet creators on the market so users might be hesitant to try this one, but again there’s a free trial to see if this is the one for you.